Dreaming of dumping your credit card debt once and for all? You should because getting rid of your debt is the first step in true financial security. For many Americans – and for you, too! – this dream can become a reality with a little hard work and perseverance. While many financial experts offer “get out of debt quick” schemes that promise fast results, the truth is that getting out of debt requires changing your mindset and your money habits – and that’s no easy task. Do you remember your very first credit card? Mine was for JC Penney. I thought I was really something when I heard “you’re approved!” for that first time. And it was that very first $500 credit limit that started my path down debt’s dark path to car loans, student loans, personal loans, and even more credit card debt. By the time I “woke up” and realized the mess I was in, my husband and I had reached a staggering $101,640.41 in debt. A recent report from the Federal Reserve uncovered the true weight of debt. 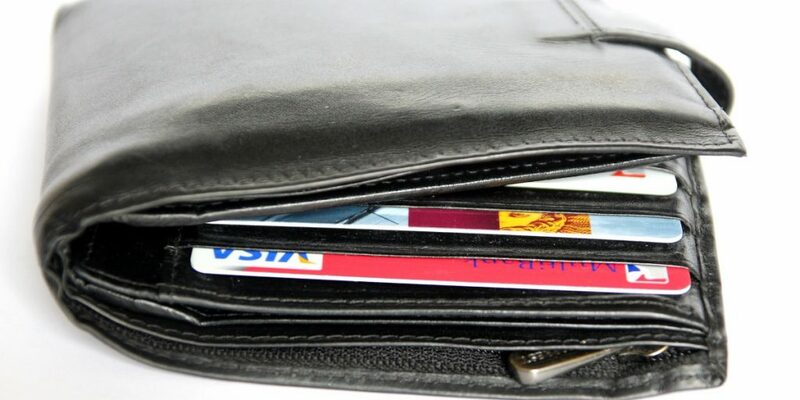 The average amount owed by American households that carry a credit card balance is a whopping $15,609. And that’s just credit card debt! How did this all begin? When did we start to live in this “monthly payment” mentality? In 1930, Charles Persons published an article in the Quarterly Journal of Economics that documented with great detail the mounting data of the huge expansion and growth in borrowing during the 1920s. From 1920 to 1929, mortgage debt grew more than eight times. Persons noted there was also an increase of “monthly payment” debt, which is consumer debt that was used to purchase new furniture, clothing, sewing machines, and cars. It was that shift in how we view debt that continues to drive our credit purchases today. And it’s increasing amount of debt – and stress – that we carry today. But that doesn’t have to be the end of the story. 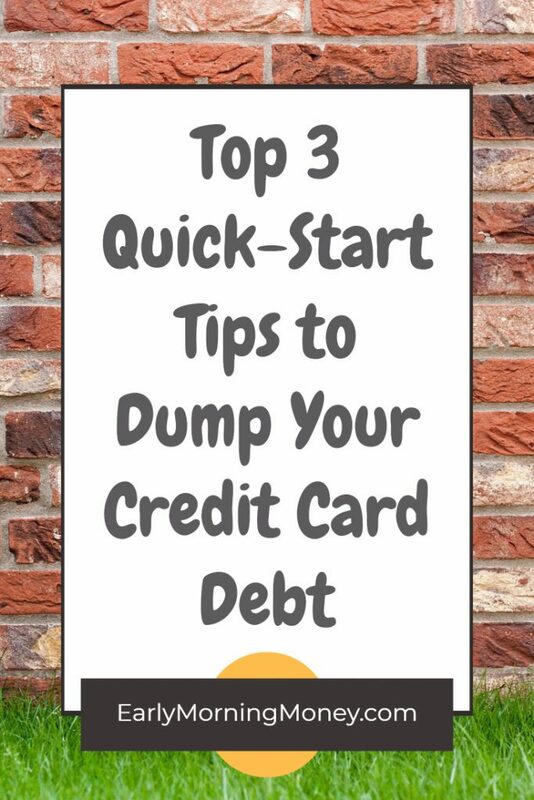 It isn’t too late to eliminate your credit card debt once and for all. Starting now is better than never, right? Because the quicker you get started, the more time you’ll have to build your emergency fund, invest for retirement, save for big vacations, and change your financial future. Think of the peace you’ll feel knowing your entire paycheck isn’t already spent by the time you get it. Think of the freedom that will bring! I mean, can you even imagine it? What would life be like weren’t paying on those old credit card balances every month? It’s time to stop the debt cycle. And here’s how to do it. This is an obvious first step to getting rid of debt and I won’t spend a lot of time on it for that reason. You can’t dump your debt if you keep tacking on more! And stop relying on the “buy now pay later” mentality to get you through life. Debt is serious and you have to commit to no new debt if you want to end the monthly-payment cycle once and for all. By paying only the minimums, you pay off your credit card debt slowly and accumulate an enormous amount of interest on the remaining balance. And this interest adds up to hundreds – even thousands! – of extra money you have to pay over the lifetime of the balance owed. It also hurts your credit score. The minimum payment option only exists to satisfy the credit card companies and it’s a great way for them to increase the total amount of money they can siphon from you. And it’s time to stop letting them take advantage of you! Wake up and take control of your debt. Pay more than the minimums and watch the balance go down, down, down every month. It feels good! Wage war on your credit card debt by perfecting your plan of attack. The two most popular debt-payoff methods are the debt avalanche and the debt snowball. Depending on how much credit card debt you have to pay off, one method could end up costing you hundreds of dollars more. And you pay them off starting with the highest interest rate card first. Doing it this way means you’ll accumulate (and pay) less interest, which means they’ll get paid off faster. The debt snowball is more of a “mind over matter” approach. When making your list of credit card debt, you list them in order of the one with the smallest balance first and the card with the biggest balance goes last on your list. Paying them off this way will give you some “quick wins” at the beginning, providing momentum and self-confidence to keep you going. Though it will equal more money in interest charges, sometimes all we need is a little confidence to see our efforts through to the end. Whichever method you choose, it’s important that you have a budget in place to identify opportunities to save money. And, as you perfect your budget, you’ll find more and more money to throw at your credit card debt and you’ll pay it off even faster than you thought. As you pay off your balances, don’t forget to reward your progress. Small (i.e. low cost) celebrations will help to keep your momentum without getting you into more debt or sacrifice your savings goals. A few mini-celebrations that worked for us was splurging on going out to eat every time we paid off one of our credit cards. Another favorite was we each got to pick out a special “treat” that we wanted. For me, it was usually a pedicure or a massage. My husband, Andrew, always picked a new video game for his Xbox. And our daughter’s favorite thing to splurge on was new shoes and new clothes (ah, the life of a teen!). Above all – remember to be kind to yourself. It took years to accumulate all that debt. And slowly, a little at a time, you’ll get it paid off. And that, my friend, is an amazing feeling!